The GT discord server is an echo chamber where dissenting opinions are silenced. Thread: The GT discord server is an echo chamber where dissenting opinions are silenced. my opinion, of course. I’ll happily argue my stance. No need, I can't agree more. An apple a day may keep the doctor away, but a snarl a day keeps everybody away! I love that server but I hate that we are almost not allowed to talk about anything. Yeah, maybe someone got banned from the game or the server but that doesn’t means that you should not be allowed to talk about them. About hacks and stuff, of course we should be silenced but not for the people. ...There's a collective community Discord??? I make music in-game and on the music simulator. DM on Discord MawiliteVGC#1512 for business. Current Goal Beat Bayonetta 2 on 3rd Climax difficulty, and start playing Nights of Azure 2. Yes, Nenkai's (TK) Server. The biggest growtopia server that is mainly focused on growtopia and isn't dead. If you don't even use thesaurus in your posts, why even bother? we should change that. you know, the part about it not being dead. That's because you hate me personally and your opinion is always biased to begin with. You were banned long ago for being utterly toxic within people. Unless you're using an alt then it's a different thing. You can talk about anything? That's what the offtopic channels are for unless you didn't see them. The reasoning for not talking about somebody who is banned from the server or ingame is that they often promoted in the past doing so which is a negative side and influence for others. What's illegal remains illegal and we do not want to give a positive impression of that. Also not sure what you mean by hacks and stuff - anything that is illegal becomes illegal in the server. If you want a server that is solely based on illegal things, then you may start your own. We're attempt to be a legitimate community, meaning such people are unwelcome. As for the thread title itself that makes no sense. We wouldn't be so popular if that was the case - if you come with the mindset of bashing an owner by focusing on being toxic and using inappropriate language instead of remaining civil, then a big chunk of respect is missing and we can't allow these people here. A recipe finder. A Growtopia Wikia Admin. Playing since Feb 2013. 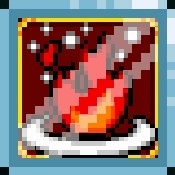 Level: 115. Title/Dragon/Dragon Wings done. First of all- i’de like to clear something up. I asked to be banned. You never banned me from your server until two days ago. If i remember correctly, I left your server voluntarily over a year ago. And no, I was not on an ulterior account. Second of all- by not having open discussions, aren’t you just encouraging people to have these contraversial conversations outside of the server- somewhere unmoderated where extreme opinions could be pushed? Are we not allowed to agree to disagree with the majority- which happens to be your opinion most of the time? My third and final point: I don’t hate you. I feel like I’ve portrayed my emotions towardrs you wrongly; you’ve contributed a great deal to this community, and I respect that. I admit I do get unessesarally heated during debates- but regardless, your lack of emotional connection to the community and this feelings of superiority you have just completley throws me off. In my opinion, your lack of ability to see things from both sides of an argument unbalances the scale so much for me that I just don’t understand your approach to human interaction. And it’s honestly... kind of annoying. I don’t think you understand; I use to have a lot of respect for you. But any time I ever approached you for assistance during the early years when I was still a nobody, or simply asked you for your opinion, you completley blew me off, acting as if the rules didn’t apply to you due to your “exuberant contributions” to the growtopian community. This has happened with several of the people who dislike you. No doubt many of the reasons you’re so strongly disliked by the growtopian community is because you’ve (at least in my perspective) never put in the effort to truely establish a human connection with, well, almost anybody outside of your immediate “inner circle” friends. And that’s dissapointing. But, you do you. If you find never establishing new conmections and blowing people off satisfactory, then you do you, man. 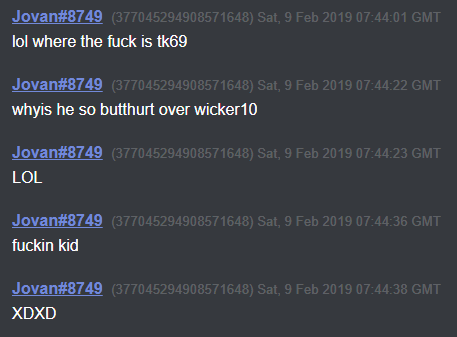 But just know- you will never reach the levels of respect the greats of this game (such as Wicker10, who wassuspended and still has a majority of the community’s respect) by acting like that. 1. You were already banned on the previous server, meaning if I knew it was you you would've been banned way earlier than two days ago as the "merge" carried those. 3. I rather make it clear - I hardly do want to spend time with somebody who asks generic questions, the more I do that the worse it gets on my end as owner of a server as I get asked over and over, no joke but these types of questions that I get almost daily (how to profit? when is X event? etc etc.) forces me to move on to focus on something more interesting. I believe it's because of that that my server consists of alot of decent beings unlike other ones (i.e owned by mods). TLDR: My priority is not to become liked by anyone. It's to build a mature community behind this game, whether they like or dislike ubisoft - take this as an example, some members often have opinions whether Ubisoft is running their game well or not, there is no censorship at all. Last edited by Nenkaai; 02-12-2019 at 10:38 PM. Excuse me, but all I agreed on was dissentious opinions being silenced. Did I mention myself at all? No. You are going off the tangent. It's illegal in-game, and It only make sense to make it also illegal in the server, other than that, you are free to discuss anything, Growtopia, memes, Media, and Off-Topic stuff in the server. I have made a mistake. I shouldn’t of associated the actions of the members of your discord server with you. I have more of a quarrel with them then I have with you. I actually seem to align with most of your views. I think we differ on how to approach handling people; I try to do my best to assist people who ask for help. in another world, we probably would have been friends. I’ll stop adding fuel to the fire, and I apologize for my previous actions against you. See you around. Nah I can see your point without even ever having joined that server. Selling the world name BUYHEADMASKS, if interested dm me. So silencing people is better than letting others have their own opinions and free will to talk about whatever they want? I believe everyone is discerning enough to know that said people who were banned have done illegal things and that they will know better than to do the same. And if you want to talk about illegal stuff, I (and many others) are still waiting for YOU to get banned for your years of datamining.